In January it's normal for many families to cut back shopping costs after the christmas period. 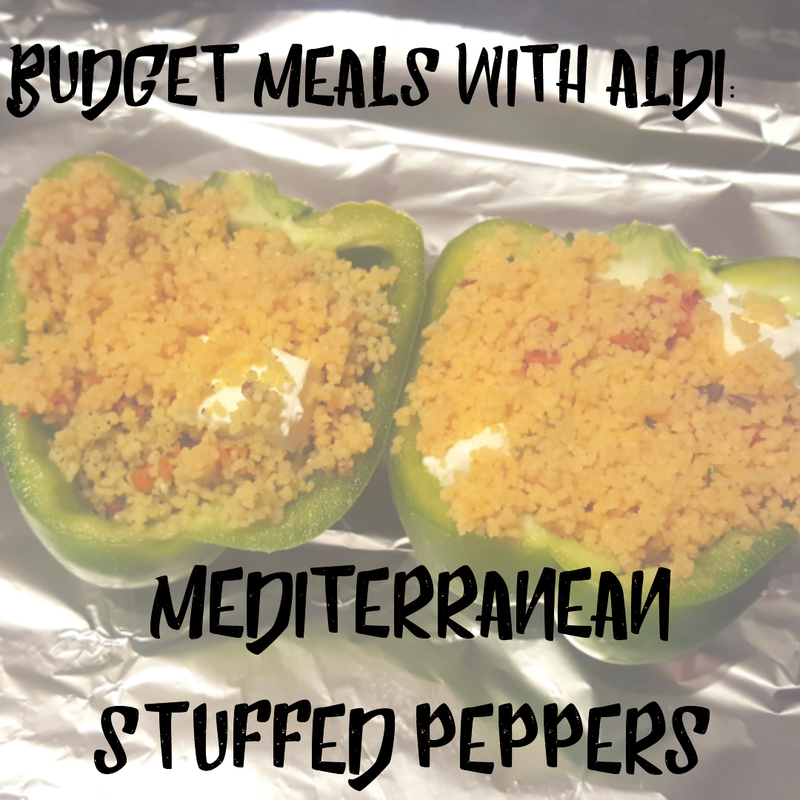 I'm one of those people that like to set a budget per meal when I'm doing the foodshop and it really does help to save money. 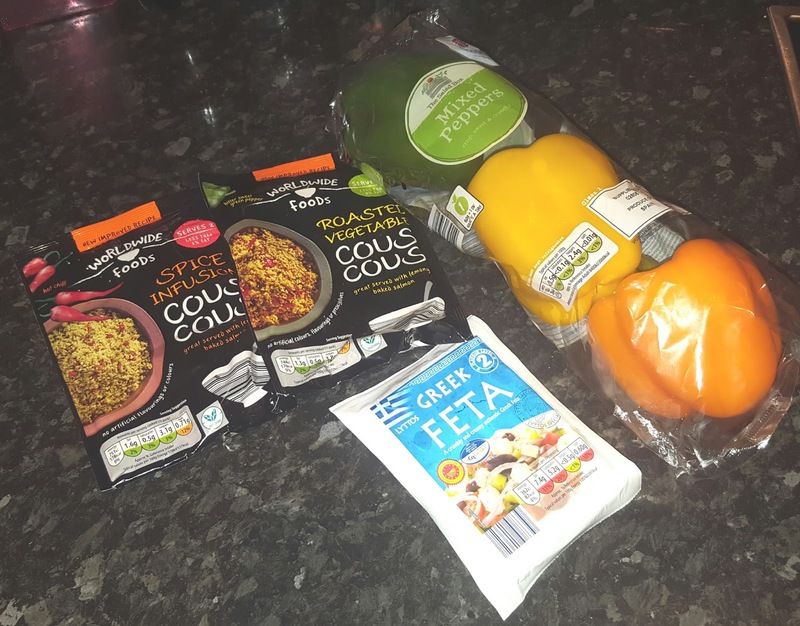 I have been asked to make a few meals with Aldi ingredients for under £5. 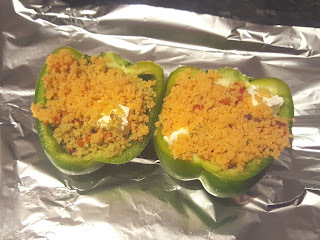 My first budget meal is Mediterranean Stuffed Peppers. 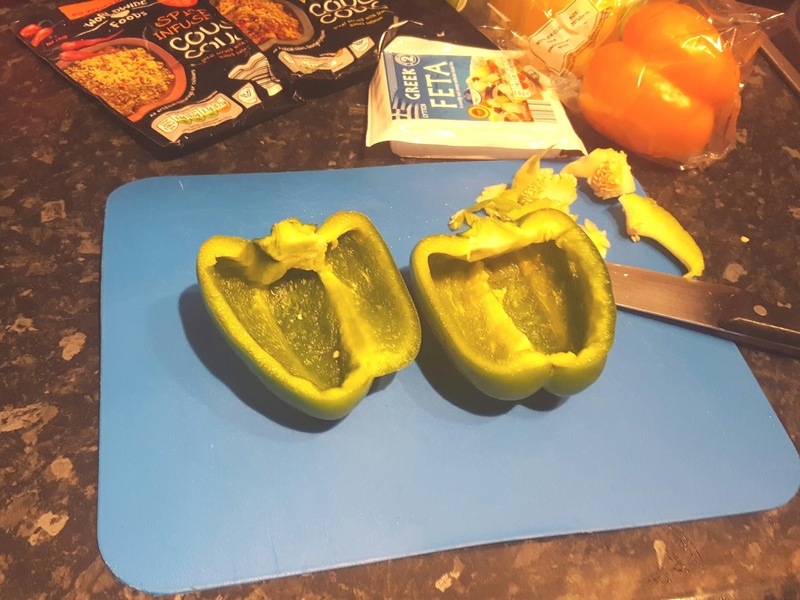 These Mediterranean stuffed peppers are the ideal meal for vegetarians but can also be adapted for meat eaters too. I have gone for a more vegetarian option this time and you really can add a wide range of ingredients. Chop the feta cheese into cubes. Cook the two types of cous cous separately, as per pack instructions. Divide the feta cheese equally between the cous cous. Put the peppers on a baking tray, cover loosely with some tin foil and bake for 20 minutes. Stuffed peppers are not only a real cheap dish but also pretty healthy aswell. In future i will probably add more ingredients and even make some with chilli inside. These were really tasty, I'm a huge fan of cous cous. I will definitely be making these again. 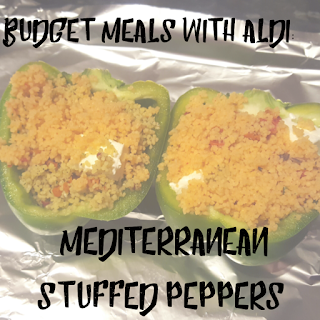 Do you have a favourite budget meal you like to make? I must admit that they were delicious.